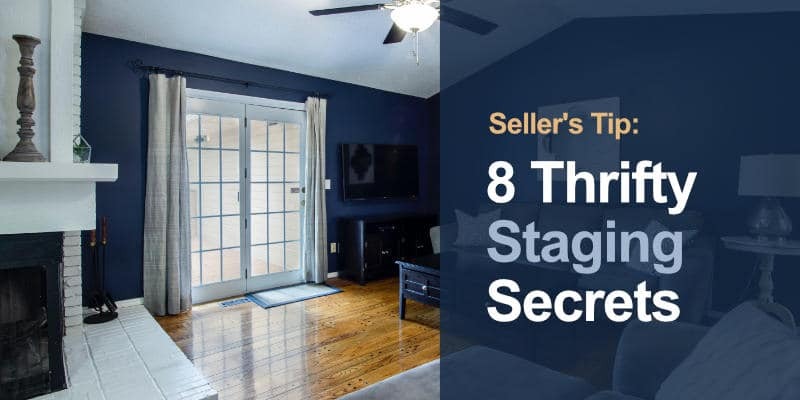 Staging your home for the sell is one of the most important elements in making your space inviting and attractive to potential buyers, but in the midst of a move, who has the time (or money) for a complete renovation? Save time, money, and energy—without sacrificing quality—with these tips. Remove excess by ridding cluttered rooms of furniture or decorative pieces that are taking up too much space. Minimal seating, wall hangings, and rugs offer a cleaner, more appealing look. Increase the size of a space visually by pulling furniture away from walls, maintaining a similar color scheme between rooms, and incorporating lighter-colored fabrics. Avoid personalized items such as children’s toys, books, or DVD collections, which might be off-putting to potential buyers. Keep it clean by making sure to scrub down baseboards and floors, and dust around countertops and chairs. Less dirt and grime not only makes a home more appealing, but can make it feel larger, too. Replace dim lighting with brighter bulbs or modern fixtures. Lighting is one of the most important elements of a space that can also be one of the cheapest fixes. Clear out closets or swap out differently colored hangers for uniform ones. An organized closet can make a bedroom look more polished. Fresh flowers and plants, when used minimally and strategically, can instantly add a touch of charm and freshen up your home. Get organized and save time by boxing up as much as you can before potential buyers see your home. Less clutter means a more attractive home, and you’ll be glad you got a jump start on packing. If you want to make the most of your open house without breaking your budget, be mindful to follow these tips—potential buyers will surely be impressed. How to Sell Your Home for More Money…and Sell it Faster! Fill in your Contact information and Select a Drawing!